Robot Mode: Comparisons with Voyager-class Prime RID Megatron will naturally abound in this review, just so you know. Let's start with the fact that Deluxe Megatron is a spitting image both for the character from the TV series as well as his bigger cousin from later that same toyline. The differences are few, but striking. First and foremost, Deluxe Megatron has the far superior paint job, especially around the chest area. Where Voyager Megs is a dull, unpainted grey, Deluxe Megs looks like he's made of freshly polished gunmetal. It's still plastic, of course, but it looks tons better. While the two robots look almost identical from the front, they differ somewhat from the back. Voyager Megatron is stuck with ‘wings’ on his back, which doesn’t really hinder him, but doesn’t really mirror his TV appearance. Deluxe Megatron solves this a bit better. He still has kibble on his back, but isn’t as big and looks better in my opinion. A small difference, but still. Finally Deluxe Megs has a much smaller fusion cannon on his arm, even proportionally speaking. It doesn’t contain the light-up and extending blade gimmicks from the Voyager version, it’s simply a cylindrical gun. I don’t mind their absence and the cannon looks more natural here, I think, but that’s once again a matter of taste. Nothing wrong in terms of articulation and no big difference between the figures here, either. So bottom line: both robots faithfully depict the Decepticon leader from the Prime TV series, but apart from the fact that, as a Deluxe figure, First Edition Megatron is really too small in comparison to the other figures, he does a better job than his bigger cousin. Alternate Mode: Megatron still transforms into an alien jet, of course, and much like in robot mode the differences between the Voyager version and this one aren’t that many. The better paint job comes into play here as well, of course. The size difference isn’t quite as pronounced as it was in robot mode, but Voyager Megatron’s jet mode is still bigger than the Deluxe version. The Deluxe version does look a tad more streamlined than its bigger counterpart, the lack of spiky shoulder pads under the wings and the cannon on top being smaller also improve aerodynamics. It’s still a far cry from the sleek, deadly-looking space craft we see on TV (on the few occasions when Megatron actually transforms), but it’s better than the Voyager version. What more can I write? No landing gear, the robot head sticks out visibly on top, and I generally wish they’d given Megatron a proper Earth mode instead of leaving him with an alien space craft as an alternate mode. So bottom line: a decent adaption of the jet mode from the Prime TV series, but nothing terribly special. Partners / Add-Ons: Megatron is part of the Transformers Prime Entertainment pack, which came with a Deluxe version of Optimus Prime (of whom I'll do a separate review) and three smaller figures depicting the kids from the Prime TV series, Jake, Miko, and Raf. As far as immobile figurines go, they're pretty cute. Plus, while Jake and Raf were also available as part of another package, this is (so far) the only chance to get a Miko figure. Not necessarily a striking argument for me, but possibly for others. 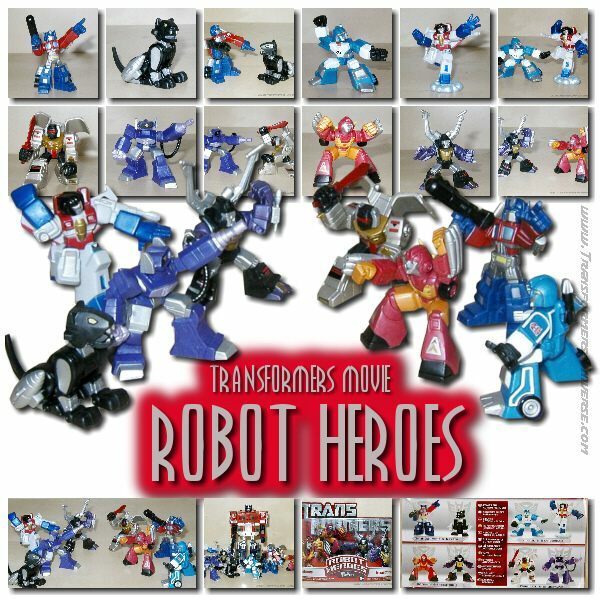 Remarks: While Optimus Prime had both a Deluxe- and Voyager-sized incarnation among the First Edition figures, Megatron had to make due with remaining at Deluxe size and only being available in the Entertainment pack together with Deluxe Prime and the three kids from the Prime TV series. Which brings us to pretty much the only bad thing I can say about this figure: it's too small. While very similar to Voyager-class Megatron from the RID imprint, he's superior in detailing, lack of kibble and paint and even improves upon the rather mediocre alternate mode. His only downside is his size. If they had made this one here the Voyager-class Megatron, I'd have been fully satisfied. Even so, he's the one now standing in my Prime display instead of his bigger cousin. Size isn't everything, you know? Fully recommended.